According to a statement by Edelman Public Relations Worldwide, "We are postponing the business notebooks briefing on February 10 as the availability of HP products will be impacted by the flaw outlined by Intel." Intel said in a statement on January 31 that it will incur $1 billion in missed sales and higher costs to fix this design flaw. This flaw is also affecting PC makers like Samsung, who said they will offer refunds on some PCs, and NEC, who said they may push back the release of four new models. 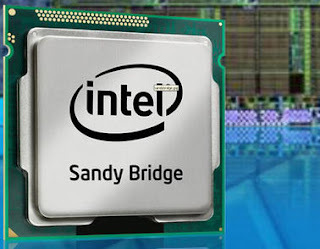 The flaw is in a support chip, or chipset, for Intel's latest Sandy Bridge processors which were designed to improve PC graphics and repel a challenge by Advanced Micro Devices Inc. HP sells many computers that use chips other than the Sandy Bridge ones from Intel. According to Marlene Somsak, spokeswoman for HP, "HP has the broadest lineup of PCs in the industry and there are many HP choices using a wide variety of processors." Dave Frink, spokesman for Dell, stated in an e-mail that "the Intel flaw affects four Dell products sold under its XPS, Vostro and Alienware brands." Frink went on to say, "We're committed to addressing this with customers who have already purchased one of the four products, will work directly with them and provide further details as they become available." Devices that could potentially have the faulty chips have been sold since January 9 and Intel said it has corrected the flaw and has already begun manufacturing a new version of the chip to resolve the issue. Intel plans on delivering an updated version of the Sandy Bridge processors, known as Cougar Point, to customers in late February with full production happening in April. Eight million Cougar Point chips have already been shipped out by Intel that will have to be replaced.